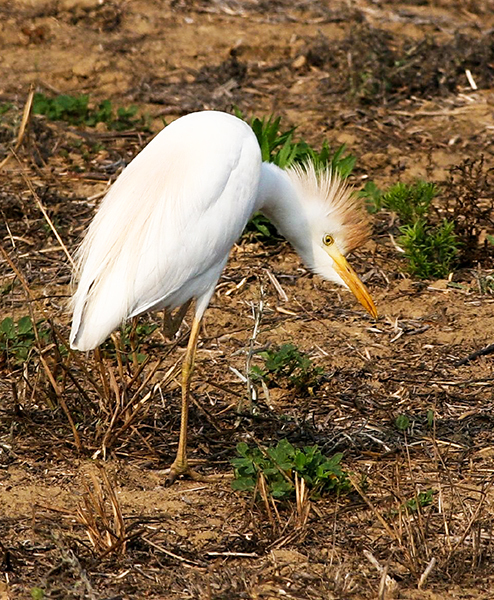 A cattle egret photographed at Eufaula National Wildlife Refuge in Barbour County. Originally from Asia, Africa, and Europe, the species now is commonly found throughout the southeastern United States. It is so named for its habit of following cattle in pastures to eat the insects and other small creatures disturbed as the herd moves around.